The complications behind intense cravings. 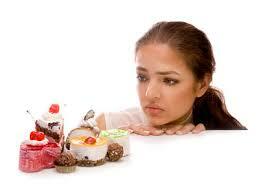 Wisdom Magazine- Food cravings and potential health issues. Craving gluten or starchy carbohydrates, like baked potatoes or pasta, or popular fall casseroles like macaroni and cheese or creamy soups, also indicates inflammation, as well as a stress hormone imbalance. When the body is looking for energy, or if insulin levels are not balanced, it typically hungers for carbohydrates. For those with a substance abuse problem, craving and eating gluten will have a similar effect to sugar. When the body is lactose intolerant, it causes inflammation when dairy products such as creamy soups, casseroles, or drinks are consumed. Many dairy products actually cause this even if one is not lactose intolerant. When this happens, people tend to crave even more dairy products to relieve inflammation, even though dairy products are what caused it in the first place. As with the other cravings mentioned, if a person with a substance abuse issue craves and fulfills the craving for dairy, they will face the same vicious cycle of increased cravings for the food (their “drug of choice”), and fulfilling those wants. Instead use non-dairy healthy alternative like coconut milk, almond milk, or cashew milk. Craving Ice is a form of Pica, an eating disorder common among pregnant women and/or places that have a malnourished population. Pica is when a nutrient deficient person craves non food substance like ice. This is a common condition in someone who is iron deficient. If you find you are craving shaved ice or ice cubes, make sure you are eating a balanced diet, rich in fruits, vegetables, quality protein and fats. Also consider taking a multi vitamin/ mineral supplement regularly. Here are some foods to make sure you have regularly to reduce food cravings and promote optimal metabolism balance. Water- although water is not truly a food it is an essential part of any nutrition plan and we often mistake hunger for being thirsty. Sometimes just getting in a couple of cups of water may reduce a craving, while nourishing the body. We tend to crave salty foods like crackers, chips or fried foods if we are dehydrated. Everyone should aim to drink at least half of their body weight in ounces of alkaline water (Aqua OH-) per day. This will help people that have cravings for drugs or alcohol, by helping them avoid foods that stimulate the opiate receptors. This will also help with reduce inflammation, which as we said above is caused by acidosis (low PH). In addition, drinking the appropriate amount of alkaline will help curb ones appetite and aid in weight loss in an easy and natural way. Grape Fruit– Grapefruit is a natural appetite suppressant. The high amounts of fiber contained in this fruit can also satisfy hunger and help people avoid the temptation to overeat, since it is a bulky food. It stimulates cholecystokinin to be released, a hormone that regulates digestive juices and acts as a hunger suppressant. Lemons/Limes: These can be consumed by adding the natural juices to plain water. Lemons and Limes are one of the most alkaline foods, which helps optimize the body’s pH balance (which is almost always too acidic), while reducing inflammation. When there is a reduction in inflammation, the body has a better ability to regulate insulin levels, resulting in reduced cravings, especially for those foods high in sugar. This will also help people that have a drug or alcohol abuse problem or an inclination to take drugs or alcohol. Healthy Fats- such as nuts, seeds, nut butters, avocados, and oils can be used to help curb your appetite. Fat in it’s most natural form (foods listed here) will help keep the body feeling full and satisfied, resulting in less cravings. Healthy fats are also very good for the brain since the brain is made mostly of healthy fat cells. High quality protein- should be consumed in moderation throughout the entire day, including chicken, fish, lean natural beef, turkey, eggs, etc. Protein contains amino acids that help repair and boost the immune system. If the body lacks enough protein, you may have foods cravings, ultimately resulting in weight gain and poor quality food decisions. 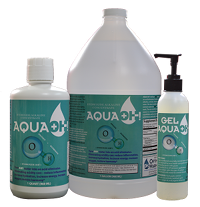 Get Aqua OH-, a pure hydroxide (alkaline) water concentrate. This is the preferred water of the NAMED Program. 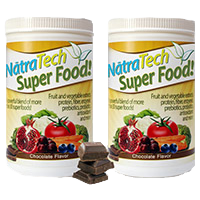 This is the Super Food I refer to on the radio and in my interviews discussing the NAMED Program. Live a healthier life! Use promo code named for a special discount at checkout.